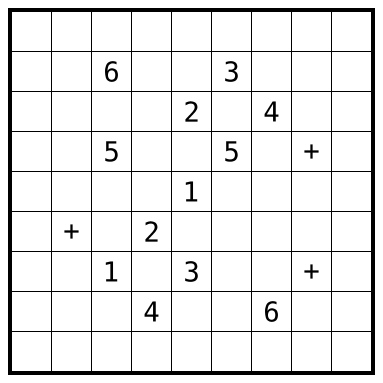 Here’s a LITS puzzle, with the extra constraint that the solution must have 180º rotational symmetry around the centre. I wouldn’t be surprised at all if this had been done before. This entry was posted in Puzzles and tagged lits, medium, symmetric lits, variant on 2014-10-20 by rob. Here’s a practice puzzle I made in London. It took me a while to get it typeset. 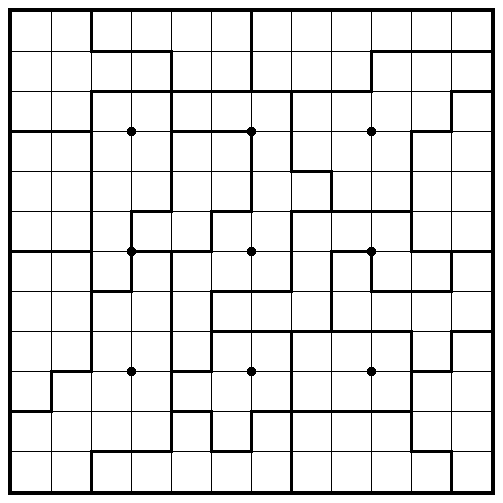 Rules Place some walls along grid lines to form a non-branching labyrinth leading from start to finish and visiting every cell. Clues indicate the lengths of all walls ocurring in that row/column. Questionmarks stand for any positive integer. 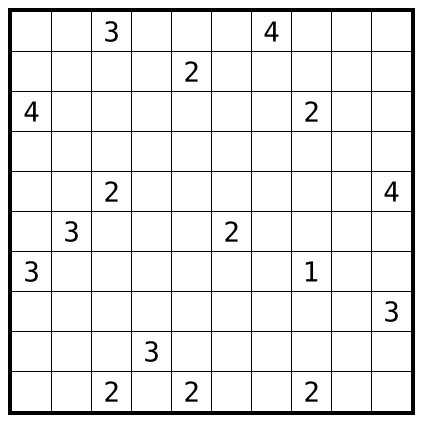 In other words, draw a path from S to F that travels horizontally and vertically between cell centres, visits every cell, and doesn’t cross itself, then draw walls along every edge that isn’t crossed by the path. 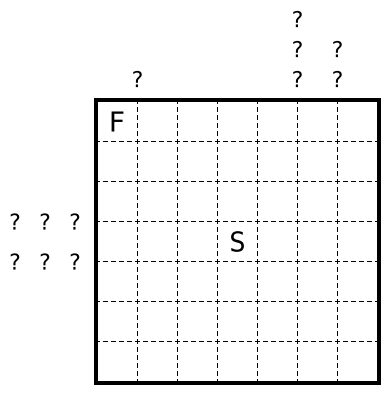 The number of question marks outside a row/column is the number of walls of any length in that row/column. Unclued rows/columns can have any number of walls. You can find better rules and an example in the WPC instruction booklet. 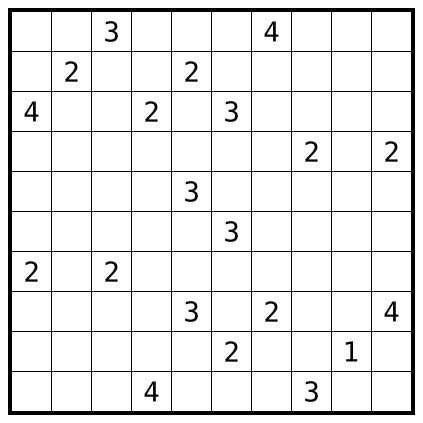 This entry was posted in Puzzles and tagged hard, missing labyrinth on 2014-10-12 by rob.